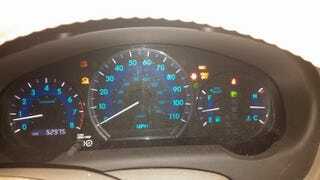 So over the weekend our '08 Sienna decided to turn on all the dummy lights (Check Engine, VSC, TRAC). Now these came on shortly after I had to go through a fairly deep puddle, I wonder if the water tripped the sensors or something. I tried resetting the TSC button, no luck. The car drives fine, and there are no strange noises. I will wait a day and let it dry out and see if the lights go off. Just for good measure I re-set the gas cap. You guys have any thoughts?